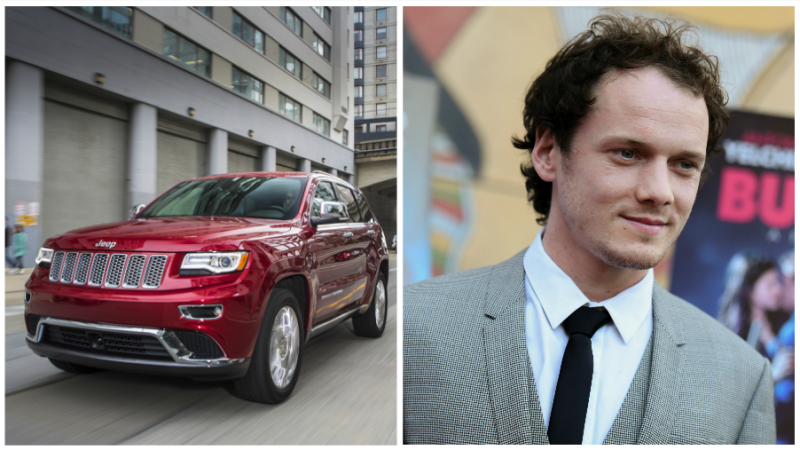 The death of Star Trek actor Anton Yelchin, crushed by his 2015 Jeep Grand Cherokee on Sunday after the SUV rolled backwards in his own driveway, has been deemed a bizarre and tragic accident. Adding another element of tragedy is the fact that despite Fiat Chrysler speeding up its recall for the rollaway problem, the software update was provided to dealers just days before Yelchin’s death. Fiat Chrysler officials confirmed that a software update—one first reported by Jalopnik’s David Tracy—will be implemented to keep the car from inadvertently rolling away by automatically shifting into park when the driver opens the door and the vehicle isn’t moving. The Jeeps and other Dodge and Chrysler cars have an unusual gear shifter for their ZF eight-speed transmissions that does not work like a traditional automatic shift lever. It has been linked to 41 injuries where owners accidentally left the vehicles in gear instead of park, despite warning chimes indicating it was not so. It’s not immediately clear that this was the cause of Yelchin’s death, but it is something police and the automaker are looking into. A statement from Fiat Chrysler released Wednesday said customers will receive final notices—something that tells them a fix is available and they must schedule service at a dealer—starting Friday. Dealers began receiving the recall instructions last week. The automaker announced the recall of 1.1 million vehicles for the rollaway issue in April. That recall that included a notice to customers on how to properly operate their gear shifters and said a software update would come by July or August. Fiat Chrysler later said it “accelerated” the recall process in May to get the fix out to customers quicker. If indeed the rollaway problem is found to be the cause of Yelchin’s death, it certainly seems like a case of unfortunate timing. The recall process can take months to roll out, even if this one was sped up like Fiat Chrysler says it was. The software is meant for vehicles equipped with 3.6L and 5.7L engines, which account for a majority of those subject to this campaign. Service availability for the remaining vehicles is imminent, as are the corresponding customer notifications. Customers may call their dealers to request service appointments. Until then, affected customers are urged to follow the operating instructions provided previously by FCA US. These instructions echo the information in their owner’s manuals. Owners with additional questions or concerns may contact the company at the number listed on their interim recall notices (1-800- 853-1403). Affected by this campaign are certain model-year 2012-2014 Dodge Charger and Chrysler 300 sedans, and model-year 2014-2015 Jeep Grand Cherokee SUVs. Also subject to recall are an estimated 52,144 vehicles in Canada; 16,805 in Mexico; and 248,667 outside the NAFTA region. Fiat Chrysler has said none of the vehicles involved in the injury cases had “equipment failure.” That’s technically true, but other automakers that use the ZF eight-speed transmission have a safety mechanism that activates the electronic park brake if the driver tries to exit with the car in gear. It seems the software update will add such safeguards to the Jeeps. Additionally, the automaker today announced the recall of nearly 14,000 Maserati Quattroporte and Ghibli sedans for the same issue, although no injuries have been linked to those cars, Automotive News reported.